“There is no love sincerer than the love of food, ” says Bernard Shaw and nothing can be more right. 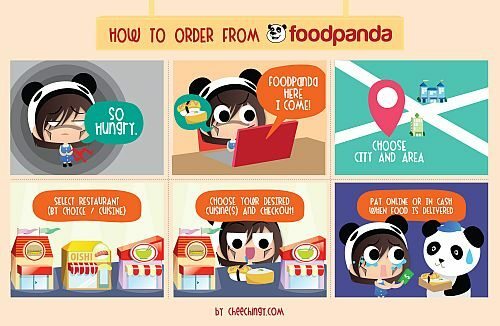 If you are a foodie and like me dislike cooking, then I suggest that you try foodpanda . You get to choose among 3000 restaurants online and order the cuisine that you like. Currently launched in 14 cities in India, foodpanda and its affliate Hello Food has an international presence, in countries in Asia, Europe, Latin America, the Middle East and Africa. So, now you can book anytime while you are travelling or if you are staying in a bed and breakfast, or just bored of cooking or want a cuisine of your choice. The service is not just online but also on your phone.